after US President Donald Trump, the transport minister has said. 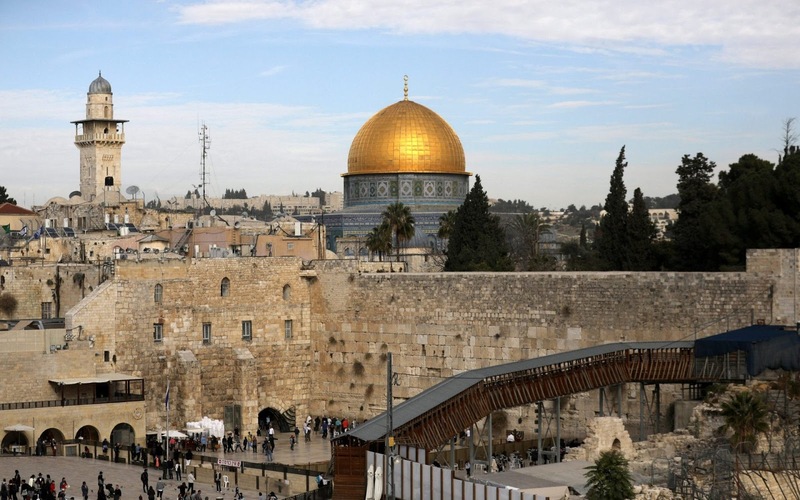 Trump has been lauded by the Jewish state - and sparked international condemnation - by breaking with years of US policy to recognise the holy city as Israel's capital. Minister Israel Katz approved a plan on Tuesday to extend a high-speed rail line under construction between Tel Aviv and Jerusalem into the Jewish Quarter of the Old City and build a station next to the Western Wall, a statement said. The station close to the holiest site where Jews are permitted to pray will be called "Donald John Trump", the minister ordered, in tribute to his "historic and courageous decision" on Jerusalem. Trump's controversial shift on the holy city has sparked angry protests by Palestinians and was rejected in a non-binding UN General Assembly resolution. Israel seized the eastern part of Jerusalem - including the Western Wall - in the Six-Day War of 1967 and later annexed it in a move not recognised by the international community. Israelis see the whole city as their indivisible capital, while the Palestinians view the east as the capital of their future state. The Western Wall, the last remnant of the second Jewish temple, is at the foot of the Haram al-Sharif compound housing the Al-Aqsa mosque and the golden-topped Dome of the Rock, the third holiest site in Islam. The new railway line is scheduled to start linking Tel Aviv and Jerusalem in 2018, cutting the journey time to less than 30 minutes. The ministry puts the cost of the 35-miles line, which will also serve the town of Modiin and Ben Gurion airport, at around seven billion shekels (£1.5bn).